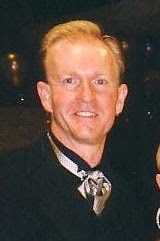 Rhett is one of South Australia's foremost Professional Coaches, Studio Proprietor, National & International Adjudicator, DSA-SA board member and President of the Dancing Association of South Australia. Rhett’s dance career began over 40 years ago at the age of 9. He competed through Juvenile, Junior, Adult to Professional level in all 3 styles and has been an Australian Pro Rising Star Champion and Australian finalist many times over the years. Rhett spent 5 years in the UK as an Amateur dancer, making the top 36 at the International and the top 48 at Blackpool competitions in Open Latin. Together with wife Kym, they have run a very successful Studio, Dance Gallery, in Adelaide for 20 years - producing and training the greatest number of State and Australian Champions over that time in the Junior, Adult and Masters fields. Over the past ten years, Rhett English has been the key figure in Competition and Championship organising in South Australia, and travels around the country adjudicating at all major events.